Most people focus on removing negative items from their credit reports in order to improve their credit scores. While clearing up damaging items is an effective means of improving your score, you can also build credit by adding positive items. Just as negative information can be inaccurately reported, positive information may also have been left off or misreported on your credit reports. In some instances, it may be possible to add this information to your credit reports and give your credit score a natural boost. We’ll show you step-by-step how to build credit by successfully adding positive accounts to your credit reports by contacting the right people. With a little bit of effort and diligence, you could potentially build your credit using information that should already be there. There are many different kinds of ways to add positive information to your credit report. Some affect your score directly, while others contribute to a stronger credit application during the manual review process. When you’re serious about building your credit score, it’s important to check for both types of information. As you review your credit report, be sure to look for both accuracy and completeness throughout its entirety. An incomplete report can be just as damaging as a bad report so really give these documents a thorough review. What exactly should you be looking for when checking to make sure your credit report has complete, positive information? Let’s find out. Start off with the personal information section. These entries don’t necessarily contribute to a higher credit score, however, they can indicate that you are in a stable situation. They can show that you are ready to handle a loan when a lender goes to manually review your credit report. This is equally as important part of the credit application process as your credit score. First of all, make sure your date of birth and social security number are listed. These two basic items help creditors verify your identity and they may not approve you if they can’t confirm this basic information. Your current and previous addresses should also be listed unless you own property and are at risk of being sued. In that situation, you run the risk of having collections target your property to repay past debts. But if you’re free and clear of any delinquent accounts or threat of lawsuit, your updated address indicates stability and continuity — important attributes when applying for credit. The same holds true for your phone number. Verifying your phone number is sometimes part of the loan application process; but, if you have debt collectors hounding you and prefer to deal with them on your own terms and timeline, remember that they can also access this information. Next, look at your employment history. This information isn’t meant to be a full listing of your entire professional life, but it can help lenders tell whether you’ve been gainfully employed for the majority of the time. Usually, information is added by a lender after you’ve submitted your loan application. But you can report this information on your own before applying, especially if you want to demonstrate a strong work history. This can be particularly helpful if you’ve been at your current job for less than two years. Looking for More Ways to Add Positive Credit? Next, you’ll want to check each of your account histories for both open and closed lines of credit. This is where you can really start to see improvements in your credit score because positive payments directly contribute to a strong score. If you’ve had many loans and credit cards, this is going to be a big section on each of your three credit reports. However, you need to check for accuracy and completeness on every single line. Start by checking to make sure all of your account balances are accurate. Review each monthly payment to ensure it’s been reported accurately. Ideally, you’ll have paid at least the minimum payment due on time and in full for every single account. This process may take a while to complete, but it’s worth it if you find something reported incorrectly. Also, verify the date each account was opened. This is an important step because, in addition to positive payments, your credit score also factors in the length of your accounts — the longer they’ve been opened, the better for your score. Finally, make sure any positive joint account you share with someone else is included on your credit report. If it’s not, that could be considered incomplete information, especially if it’s on the joint account holder’s report from the same credit bureau. There are two ways you can add positive items to your credit report: either by contacting your creditor or by contacting the credit bureaus. Sometimes you can get away with just contacting one and other times you’ll need to contact both. Here’s exactly how to handle each scenario you might come across when trying to add positive information to your report. One of the most straightforward instances to contact your creditor directly is if you’re missing a joint account on your credit report. This is especially true if the account is listed for the other joint account holder already. 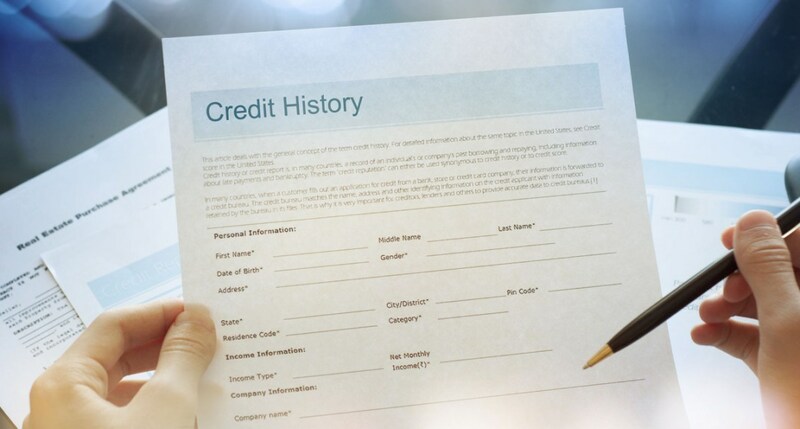 For accounts that are in your own name but aren’t listed on your credit report, you should verify with your creditor that they report to the three national credit bureaus. Not every creditor chooses to report to the bureaus, and without their voluntary reporting, the credit bureau won’t be able to help you. If you do confirm that the creditor typically reports and just hasn’t reported your account, you can take steps in order to have the situation resolved. For creditors that do not choose to report your credit to the agencies, you can still help your chances of obtaining credit if you can get a certified copy of your payment history. If possible, request a copy of the payment history on company letterhead, and signed by a manager or someone else in charge. It won’t help your credit score, but it could help increase your chances of getting a new loan or credit card. Keep this documentation on hand to bolster your credit report and you may be able to convince some lenders of your creditworthiness. After you’ve contacted your creditor, you’ll want to confirm that the information has been changed by each of the credit bureaus. Wait a couple of weeks, and then check your report – if you still see errors, send a letter to the credit bureau asking them to correct the information. Once you send a request to each of the three credit bureaus, they are required to open an investigation and resolve the matter within 30 days. This process is especially helpful if one of your creditors is hard to reach or unresponsive. When you do follow up with either a creditor or credit bureau regarding information on your credit report, it’s important to follow a few key steps to track your progress. Keep diligent records of all communication you have with anyone regarding your credit report, whether it’s a phone call, a letter, or an email. Oftentimes you’re required to send a request through the mail. If that’s the case, send your letter through certified mail so you can confirm it successfully arrived. This prevents a creditor (or credit bureau, for that matter) from claiming ignorance to your request. If you speak to someone on the phone, get their full name and any type of ID number they may have. Despite your best efforts, it’s not always easy to get your positive information added to all three of the credit bureaus since no creditor is required to report the information and most small creditors probably won’t. What’s more is that some creditors may report to a single credit bureau, but not the other two. That’s why your credit score usually varies among the three bureaus. Incomplete information doesn’t refer to your credit report is missing an entire account, but instead, refers to the accounts already listed there. So while your credit report may not be technically complete in your eyes when it’s missing an account, there’s little you can do if you can’t convince the creditor to start reporting. Still, adding positive information can be a helpful step when it comes to building credit. Listing accurate, positive information can counteract some negative marks on your report. Additionally, by verifying these positive items, you can be more vigilant to potential errors in the reporting process overall. Don’t just look at your negative items – always look at your credit report as a whole to attain the best results for your credit score and your future financing needs.